We have much to learn from the Monkey God, Hanuman. He is the God of selfless service, devotion, courage and perseverance. 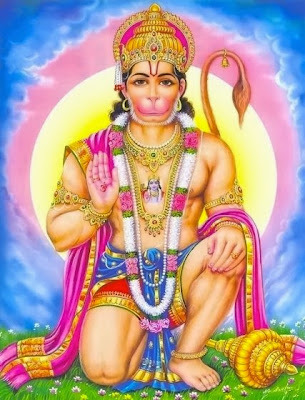 On Sun, Jan 19th from 1:30-3pm, I'll be holding a workshop at Unity Yoga dedicated to Hanuman. We'll cover his legend, his very own physical posture (full splits) & we'll explore our own personal devotions. Please contact Unity Yoga, at (604) 708-8369 to reserve your spot or email me at emilyjanemillen@yahoo.com. The cost is $25. "I always ask my audience to open up their minds, to travel with me, to go somewhere exciting"
Myself and viola master, Thomas Beckman, will be holding our Seventh Heaven workshop again at Semperviva Yoga (Kits Beach location). Come out Friday, Feb 28th 7:30-9pm to flow your body to beautiful looping strings! I came across this talented man by chance while waiting for the bus at Cambie and Broadway. Scattered amongst his busy teaching and performing schedule he finds the time to busk. Many are too rushed to open their ears to his looping strings, and I'm often one of the many. However, on this particular day I felt moved to take out my earbuds. As soon I did, a vision of many yogis dancing to his music came into my head. Without hesitation I approached him and proposed a collaboration. He agreed and chuckled a bit, as he had also recently daydreamed of playing for yogis. So here we are: a match made in heaven to bring you heaven on your mat.